Dear reader we have discussed about different way of transporting/handling of concrete in delivery or placing end. Still some methods haven’t published. 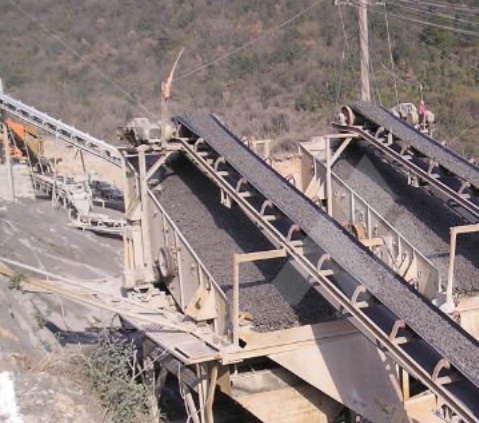 In this post we will discuss about belt conveyors, sometimes called concrete belt conveyors. So far in concrete transportation system, belt conveyors are used with limitation extent considering some problems associated with this type of concrete transporting. The main objection against this system is segregation tendency of concrete which is not allowed in concrete engineering. We have discussed different aspects of segregation in our previous post; you can read these for more information. d. Just above the roller while belt passes over it. Another shortcoming of this process, not included above, are drying and consequent stiffening of concrete while it passes over long distance exposed to hostile ambient environment. When this exposure is hot, windy or dry weather, the losing of moisture takes place severely. 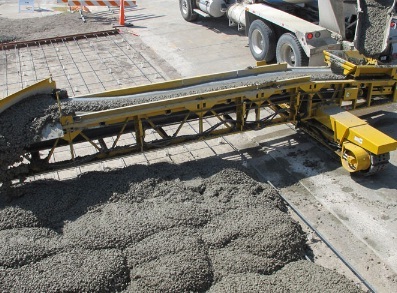 In most cases it is required to remix concrete at delivery end before final placing and subsequent compaction work. With above bad words, you may be confused about applicability of belt conveyors. But technology is advancing rapidly to facilitate transporting concrete process and it brings some modification in conveyors system. Modern conveyors have adjustable reach, variable speed towards back and forth, travelling diverter. This system extremely useful when enormous amount of concrete has to be transferred quickly through a relatively less accessible area. We have discussed about losing moisture; in this regard it is wise to cover the belt partially or completely depending on weather condition. Portable conveyor system is available for transporting short lift or distance. The discharge end must be designed such that the arrangement minimize segregation of concrete and ensure discharging of entire mortar form belt. What would be the suggested rubber conveyor to deliver concrete? As the conventional rubber conveyor seems to accumulate concrete build ups. Is there a special type of rubber belting being recommended? hi very nice, good information about Belt Conveyors in concrete transportation. Thank you for the post. Belt conveyors are used to transport concrete horizontally. A wide range of special types of belt conveyors are available. Several manufactures produce conveyors that are mounted on trailer for easy transit with adjustable speed.